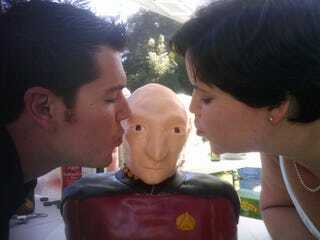 Captain Picard Wedding Cake: Make It So! I don't know this couple. I'll probably never meet them. But I'm confident that any two people that celebrate their wedding with a cake bust of Captain Jean-Luc Picard are destined to a lifetime of happiness.